Our integrated design and site teams guarantee we provide our clients with a practical and efficient construction process. We do this through accurate detailed design drawings, continuous communication and incorporating our site team’s input in the design. 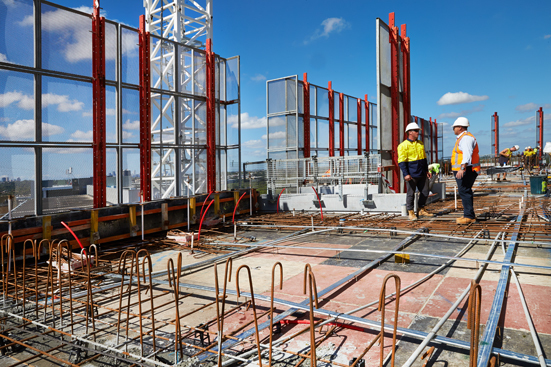 This means we create high quality projects by having a consistent site crew with solid experience as well as identifying targets for quality and work health and safety. To ensure the high quality flows from the design through to the installation Interspan encourages the in-house designers and the work crew to collaborate together. Our work crew are key in delivering the project on time and budget, and it is our priority to keep the same site team on the project, until completion. This provides construction efficiency as well as building on the experience of the team. 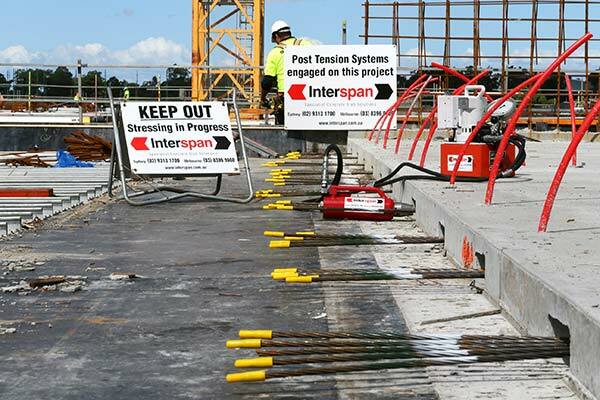 Interspan has a high level of staff retention, which creates a reliable performance for our client projects, guaranteeing fast, accurate and high-quality construction. At Interspan we are focused on increasing efficiency, enhancing quality and, maximising value to our clients. We do this by providing a generous percentage of our annual budget for staff training and development for their continuous improvement. In order to increase efficiency and quality, Interspan provides a dedicated crew for each project. 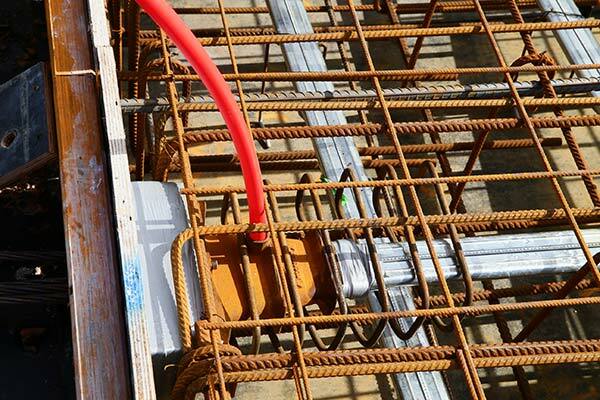 This ensures an increase in efficiency during the construction phase of the project. In addition, the bar tags used on the drawings provide an effective and high-quality method of placing the correct reinforcement bars in the right locations. Value to our clients is provided by our focused approach to building construction. We specialise in post-tensioned, prestressed and reinforced concrete work, so we understand the specific challenges involved with maximising useable space while creating a high-quality product. Safety is a core value for us at Interspan. We are fully committed to the health and safety of our team and we know incidents, injuries, and illnesses can be eliminated. Safe operations are a standard requirement by regulatory authorities, employees and clients. At Interspan we set safety standards beyond compliance. We do this by preparing Safe Work Method Statements (SWMS), providing health and safety training to our employees and contractors, reviewing all incident reports, holding daily toolbox talks, checking that the equipment is in good condition and providing the right supervision. In addition, at the completion of every project, we ask for direct feedback through our Customer Satisfaction Report – where health and safety is our top priority. We use this feedback to train our employees and contractors to ensure ongoing high health and safety standards apply to all our projects.